When Tim McGraw debuted in the early '90s, few would have predicted that he would eventually take over Garth Brooks' position as the most popular male singer in country music. Yet that's exactly what he did, thanks to a string of multi-platinum albums, a high-profile marriage to fellow superstar Faith Hill, and Brooks' own inevitable decline. His sound epitomized the strain of commercial country that dominated his era: updated honky tonk and Southern-fried country-rock on the uptempo tunes, well-polished, adult contemporary-tinged pop on the ballads. 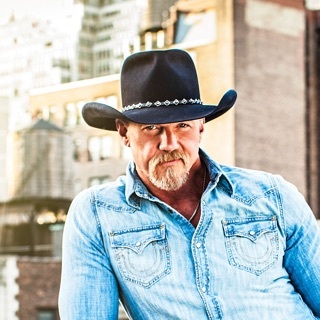 Helped out early in his career by several novelty items, McGraw simply wound up cranking out hookier hits on a more consistent basis than any of his peers. By the late '90s, he was not only a superstar among country fans, but a mainstream celebrity with a large female following. Samuel Timothy McGraw was born in Delhi, Louisiana on May 1, 1967. Though he didn't know it until years later, his father was baseball player Tug McGraw, a star relief pitcher for the Philadelphia Phillies and New York Mets who'd had a brief affair with McGraw's mother. He was raised mostly in the small town of Start, Louisiana, near Monroe, and grew up listening to a variety of music: country, pop, rock, and R&B. He attended Northeast Louisiana University on a baseball scholarship, studying sports medicine, and it was only then that he started playing guitar to accompany his singing. He played the local club circuit and dropped out of school in 1989, heading to Nashville on the same day his hero Keith Whitley passed away. He sang in Nashville clubs for a couple of years and landed a deal with Curb in 1992. His debut single, the minor hit "Welcome to the Club," was released later that year, and his self-titled debut album appeared in 1993 but failed to make the charts. McGraw's fortunes changed with the lead single from his 1994 sophomore effort, Not a Moment Too Soon. "Indian Outlaw" was embraced as a lighthearted, old-fashioned novelty song by fans but was heavily criticized for what some regarded as patronizing caricatures of Native Americans. Despite some radio stations' refusal to air the song, it reached the country Top Ten and even crossed over to the pop Top 20. All the publicity helped send McGraw's next single, the ballad "Don't Take the Girl," all the way to the top of the country chart; it too made the pop Top 20. The album kept spinning off hits: "Down on the Farm" hit number two, the title track went to number one in 1995, and the novelty tune "Refried Dreams" also reached the Top Five. Not a Moment Too Soon was a genuine blockbuster hit, eventually selling over five million copies and topping both the country and pop album charts; it was also the best-selling country album of the year. McGraw's follow-up, 1995's All I Want, immediately consolidated his stardom with the number one smash "I Like It, I Love It." The album topped the country chart, reached the pop Top Five, and sold over two million copies. Once again, it functioned as a hit factory thanks to the number two "Can't Be Really Gone," the number one "She Never Lets It Go to Her Heart," and the Top Five "All I Want Is a Life" and "Maybe We Should Just Sleep on It." Over 1996, McGraw supported the album with an extensive tour, accompanied by opening act Faith Hill. In October, after the tour was over, McGraw and Hill married, in a union of country star power that drew plenty of attention from mainstream media. It doubtlessly helped McGraw's next album, 1997's Everywhere, become another crossover smash; it topped the country chart, fell one spot short of doing the same on the pop side, and sold four million copies. The lead single was a McGraw-Hill duet called "It's Your Love," which not only hit number one country, but made the pop Top Ten. Three more singles from the album -- "Everywhere," "Where the Green Grass Grows," and "Just to See You Smile" -- hit number one, and two others -- "One of These Days" and "For a Little While" -- reached number two. Meanwhile, "Just to Hear You Say That You Love Me," another husband-and-wife duet from Hill's 1998 album Faith, climbed into the Top Five. With the multi-platinum success of Everywhere, McGraw was poised to take over Brooks' throne as the king of contemporary country, a transition that only accelerated when Brooks confounded his fans with the Chris Gaines project. McGraw, meanwhile, just kept topping the charts. 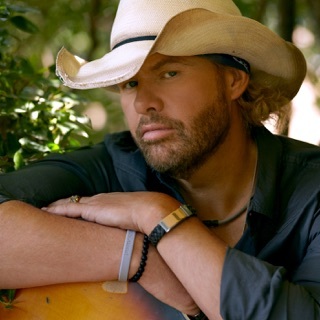 His next album, 1999's triple-platinum A Place in the Sun, hit number one country and pop, and four of its singles also hit number one: "Please Remember Me" (which featured Patty Loveless), "Something Like That," "My Best Friend," and "My Next Thirty Years." The year 2000 brought McGraw's first Greatest Hits compilation, a best-selling smash, and another Top Ten duet from Hill's Breathe album, "Let's Make Love." The song later won McGraw his first Grammy, for Best Country Vocal Collaboration. Also in 2000, McGraw had a brush with the law when he and tourmate Kenny Chesney got involved in a scuffle with police officers after Chesney attempted to ride one of the officers' horses; McGraw was later cleared of assault charges and spent the rest of 2000 on a second tour with Hill. Released in 2001, Set This Circus Down (number one country, number two pop) kept McGraw's hit streak going into the new millennium, giving him four more number ones -- "Grown Men Don't Cry," "Angry All the Time," "The Cowboy in Me," and "Unbroken" -- just like that. In 2002, his duet with protégée Jo Dee Messina, "Bring on the Rain," also went to number one. For the follow-up album, McGraw defied country convention by entering the studio not with session musicians, but with his road band, the Dancehall Doctors, a unit that had been together since 1996 (with some members around even before that). Tim McGraw was released in late 2002 and produced Top Ten hits in "Red Rag Top" and "She's My Kind of Rain"; it also featured a startlingly faithful cover of Elton John's "Tiny Dancer." McGraw kept the formula the same on 2004's chart-topping Live Like You Were Dying, utilizing his road band, as well as co-mixing/producing the record himself. Let It Go followed in 2007, with Southern Voice arriving in 2009. McGraw resumed recording in early 2010 with longtime co-producer Byron Gallimore. He finished the album Emotional Traffic and even toured in anticipation of its imminent release, but his longtime label Curb refused to release it, feeling it followed Southern Voice too quickly. The dispute landed both artist and label in court, resulting in a separation agreement. 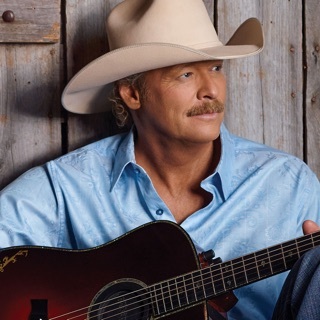 McGraw landed a major role in the film Country Strong, which was released in 2011. 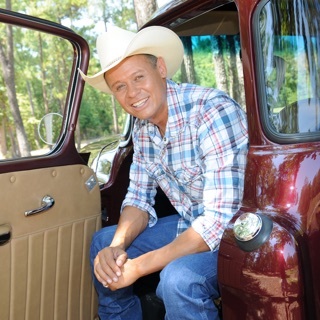 He followed it with the single "Felt Good on My Lips," which reached the top spot on Billboard's Hot Country Songs chart, and was followed by "Better Than I Used to Be"; both were pre-release singles for Emotional Traffic, which was finally issued in January of 2012, two years after it was completed and delivered to Curb. 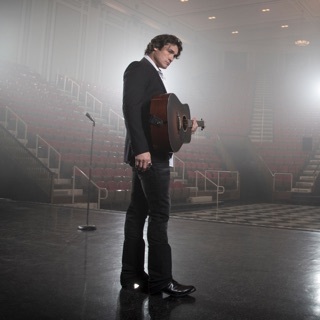 He signed to Big Machine for Two Lanes to Freedom, which was released in early 2013; the album spawned three back-to-back number one singles on the Billboard Hot Country Songs chart, including "Highway Don't Care" with Taylor Swift and Keith Urban guesting.